A selection responding to the business setting, Condor. 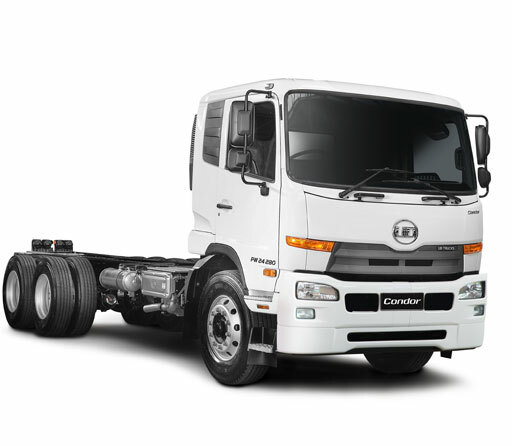 With Condor, we offer a wide range of models that meet the business needs of fuel efficiency, safety, performance and drivability, which are required for medium-duty trucks. Highly efficient engine and AMT (automatic mechanical transmission) have been adopted.These features will assist daily pleasant driving by providing comfortable operability to every driver and reducing fatigue caused by driving for a long time. The engine realizes high efficiency even though it is light and compact. It realizes high environmental and loading performance and fuel efficiency, and significantly contributes to a reduction in transportation costs.